Another important issue is the preservation of land for future industrial and business parks. A nationwide sampling of other successful communities with more than 100,000 people found that in general about 10% of a community’s land area is devoted to industrial development. 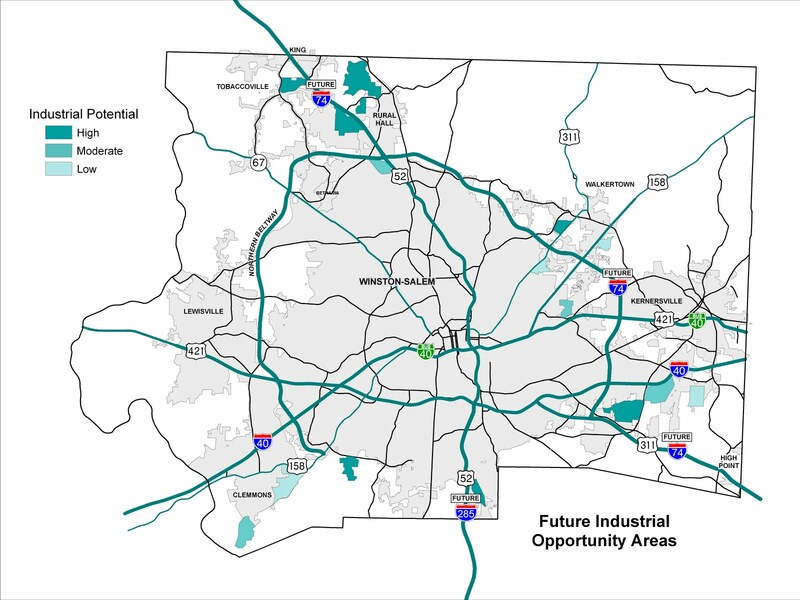 The serviceable area of Forsyth County only has 7.5% of its total land area designated for industrial use, which translates into a shortage of 4,000 acres. This is equivalent to 10 to 15 additional large business parks. One of the factors that make preservation of industrial land difficult is current zoning patterns. In Forsyth County, all land is zoned for one use or another. The default zoning for most areas of the county is single-family residential. Even though an Industrial Sites Study has been completed which shows 4,000 acres of land that would be best suited for industrial and business development, there is nothing that stops residential encroachment on these identified sites. 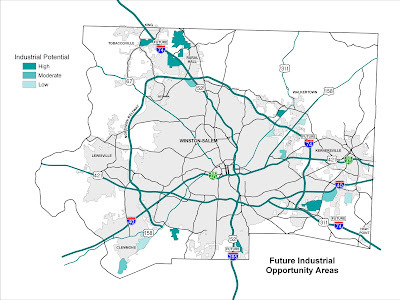 As a result, Forsyth County and Winston-Salem are short on the “ready-to-go” sites and buildings near interstates and highways that will help us remain successful in attracting new companies and jobs.